The “happiest place on earth” is going to get happier from here—Disney announced at the D23 Expo that it’ll be unleashing major updates for a number of parks in the near future. 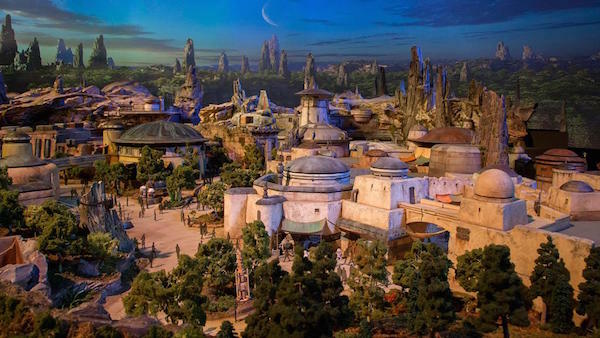 The company revealed some stunning new visuals for ‘Star Wars Land’—now officially named ‘Galaxy’s Edge’. Apart from the expected announcements for the Star Wars-themed park, Disney also unveiled plans for Guardians of the Galaxy, Avengers, Ratatouille, and Spider-Man attractions. Reconnect with ‘Woody’, ‘Buzz Lightyear’, and friends in the reminiscent ‘Toy Story Land’, which is set to come to Walt Disney World Resort in summer next year. Your inner child will also squeal with delight to know that an all-new ‘Pixar Pier’ will be making its way to Disney California Adventure park—as well your heart—in 2018. Scroll down to learn more about the exciting new ‘House of Mouse’ updates.